Earlier this year a woman posted in the Seal Beach Facebook group to warn residents that her daughter had been followed down Main Street and into several different shops by a man she didn’t know. Her instincts told her that there was something off about the situation so she pretended to take a photo of the man, causing him to quickly flee the scene. Fortunately for this young woman the story has a benign, although unsettling, ending. And most of the folks in the Seal Beach FB group agreed that she was lucky and had handled the situation well. For the most part, our little town is incredibly safe and I have rarely been fearful for my security. But to reiterate that dangerous situations still happen, even in our sleepy beach community, I told a condensed version of a story where a man followed me in the grocery store parking lot late one night. (I’ll expound on this is a separate post.) Here is how the FB comment section unraveled afterwards. (Note: Last names have been removed, and I have edited the comments somewhat to keep the narrative as brief and to-the-point as possible.) The bottom line is, follow your instincts and believe women when they say they have been targeted! It’s an extraordinary day when the daily post from my least favorite blogger isn’t the thing that gets me the most riled up (although today she wrote about the “sin” of obesity so it was a close call). Nope, today it was something from my own little community that disturbed me the most. When I woke up this morning I saw a thread in the Seal Beach Facebook group regarding law enforcement and news crew activity at the local elementary school. Fortunately it wasn’t something life-threatening like a shooting or a hostage situation. Thank goodness! 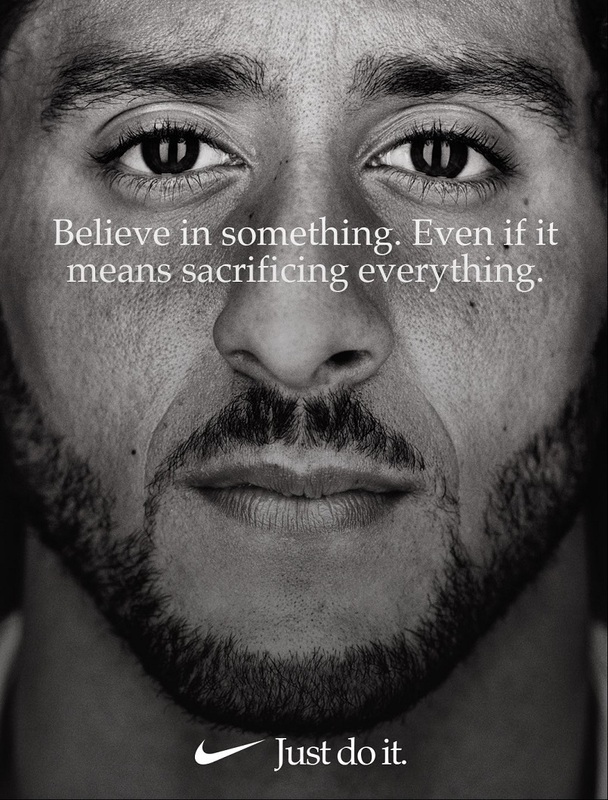 After reading the associated article on the Orange County Register I learned that the McGaugh Elementary School principal posted something contentious on her personal Facebook wall regarding the Nike ad featuring Colin Kaepernick. Yep, another social media scandal. We can’t seem to learn from even the very recent past when it comes to these situations. Here’s an excerpt from the OC Register article. I added the bolding myself because that is the root of the problem. After reading the principal’s FB post, a Seal Beach resident went to the school administration’s office to complain about her use of a racist term to describe Kaepernick. This woman is in a position of leadership over not just adults, but also children. It’s understandable that parents would be alarmed by racist views expressed by such leadership, right? The elementary school has students of many colors and backgrounds so the principal’s FB post is not just generally offensive, but directly offensive to black students and their families. Seems straightforward to be, but unfortunately not to everyone. The main dispute in the Seal Beach FB page thread was over whether “thug” is in fact a racist term. So many people cited the bland dictionary definition to prove that race was not an implication in the principal’s use of the word. The shortsightedness of this argument is astounding. Unfortunately, there are untold numbers of words that have meanings beyond than the ones in a large, dusty, probably outdated volume. How many times have you had to consult Urban Dictionary to ascertain the current usage of a word or phrase? (I am old and out of touch so I use Urban Dictionary a lot!) We are all aware that calling a person of color an ape, baboon, or monkey is overtly racist, especially due to a few high-profile cases this year, but you won’t find words explicitly defining those terms as racist in your home dictionary. I found an NPR article that explained it better than I ever could – “One of the things that Americans have a whole lot of trouble with…is that words never keep their meanings over time. A word is a thing on the move. A word is a process. And that’s what’s so confusing about the N-word. And that’s what’s so confusing now about this word, thug. Any discussion where we pretend that it only means one thing is just going to lead to dissension and confusion.” The bottom line is that subtext is lost on folks who willfully ignore it. Luckily there was one encouraging comment from a woman in the FB thread. A vast majority of McGaugh’s military families are minorities. Military members who take off their uniform at the end of each day and step out into the civilian world, only to face discrimination because of the color of their skin. Minorities in the military are not safe from unjust treatment by people in positions of power. I hope all of you parents/community members reading this will take a step back and remember that behind a parent’s job title, there are people and families of color, including black husbands and sons like my very own, who benefit from people like Kaepernick speaking up for them. Calling a black man a “thug” just because you don’t agree with the way he’s exercising his freedoms as an American is racist. It truly is. Please remember that every single service member past and present, signed an oath to defend the constitution and the freedoms that it grants. I don’t pretend to speak for all military families, but I do know many local military families (and thousands across the country) share my sentiments. And I hope you all will help hold those who are supposed to advocate for all of their students, students of color included, accountable for not doing so. I couldn’t have said it better myself! In a post back in May, I stated that “Some people don’t understand that free speech means that in the United States you can’t be arrested or executed for your opinions, but it does not mean you are completely free from the consequences of what you choose to say. Hate speech can absolutely get you fired.” Freedom of speech doesn’t mean freedom from consequence! We’ll see how this plays out for the McGaugh Elementary School principal. I don’t have a lot of time to write today because I just barely got out of work in time to grab a snack, change clothes, and hustle to boot camp. Then on my way home I made one last Thanksgiving grocery shopping trip to get cranberries, apples, and pears. The store was basically empty tonight so assuming I didn’t forget anything I shouldn’t have to deal with the Turkey Day food rush. Too bad I still need to get another pie dish at Target tomorrow. That might not be as pleasant. I just finished scarfing down a bowl of chili for dinner, but now I need to wash a bunch of dishes and get ready for bed as quickly as possible. The next two days before Thanksgiving are going to be really busy and I need to get to work early both days. I’m trying to get as much prep done before Thursday as possible so I can relish the holiday. Isn’t that my goal every year? This time of year always goes by too quickly and I want it to be as enjoyable as possible! Against all odds I finished National Blog Posting Month (NaBloPoMo) only missing one day out of thirty. Not bad! I compensated for my misstep by posting the second half of my Thanksgiving wrap-up on December 1st. That’s a fair trade-off, right? I’m going to try my best to keep up the same frequency of posts in December since this is my favorite time of the year (and I’m determined to enjoy it), but don’t know how successful I’ll be. The month has barely started and my calendar is already completely full! Like today when I had about four obligations after I got out of work. I actually left early to pick up my orthotics from the podiatrist so that I could run my scheduled 5 miles this afternoon. Since the Seal Beach Christmas Parade was taking place in the evening I didn’t even attempt to run my usual route around town. Even at 4 PM Main Street was just too busy and crowded. Instead I drove down to Bolsa Chica State Beach and completed my 5 miles there. It was really windy today, but running by the ocean is always lovely. Since I was planning to meet some friends at the Christmas parade I had to get home and quickly shower after my run. Luckily I live one block from the parade route so I could walk out my door just a few minutes before 7 PM. 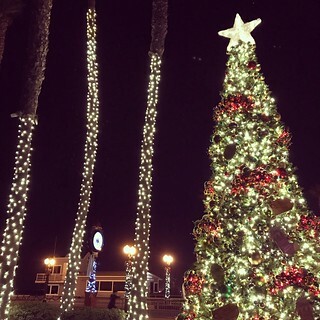 It was a chilly night for the Seal Beach Christmas parade and I got cold sitting there for an hour and a half, but I enjoyed hanging out with my friends. Now I am back in my warm house, but I need to go to bed soon. I’m meeting a friend and her daughter at Disneyland for the Christmas parade tomorrow. 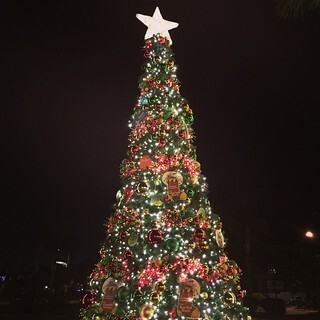 Happy holidays everyone!